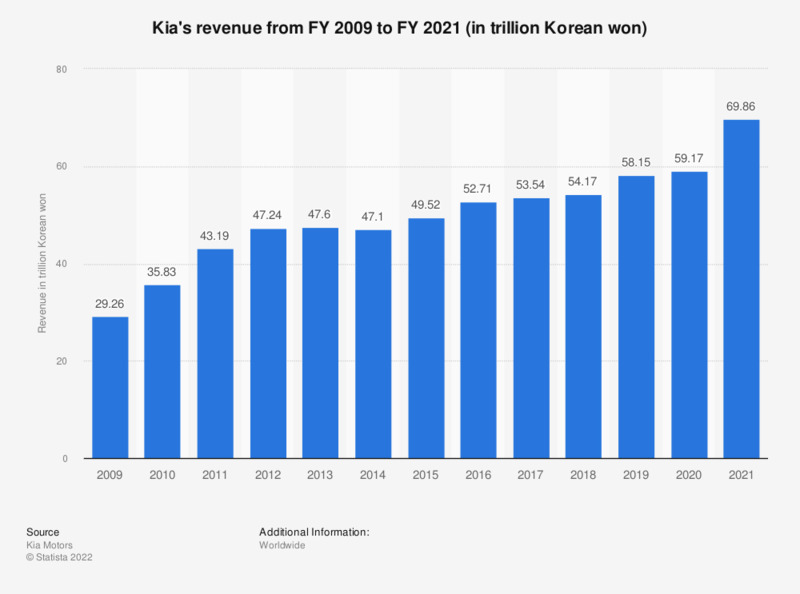 This statistic represents Kia's revenue between the 2009 and 2018 fiscal years. In the 2018 fiscal year, the Kia Motor Corporation generated around 54.2 trillion Korean won - or just under 50 billion U.S. dollars - in revenue. The values for 2009 through 2015 are taken from a previous edition. Number of households that use GPS in their vehicle in the U.S.